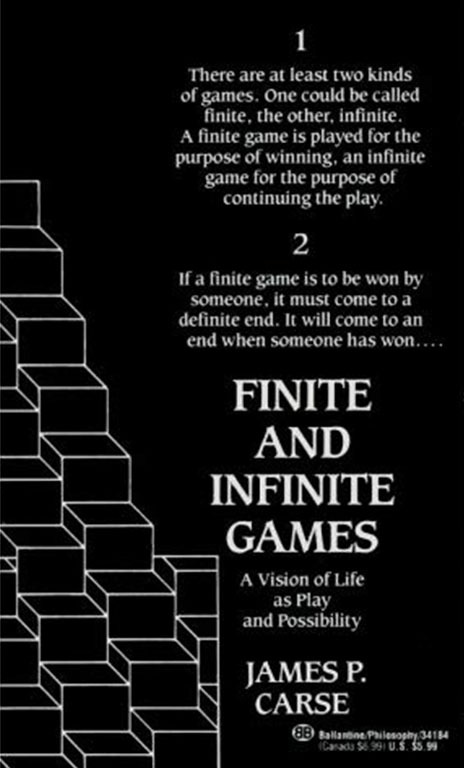 The rules of the finite games may not change; the rules of an infinite game must change. To speak meaningfully of a person’s power is to speak of what that person has already completed in one or another closed field. To see power is to look backward in time. 99 || Perhaps the Christian myth has been the narrative most disturbing to the ideological mind. It is, like those of Abraham and the Buddha, a very simple tale: that of a god who listens by becoming one of us. It is a god “emptied” of divinity, who gave up all privilege of commanding speech and “dwelt among us,” coming “not to be served, but to serve,” “being all things to all persons.” But the worlds to which he came received him not. They no doubt preferred a god of magisterial utterance, a commanding idol, a theatrical likeness of their own finite designs. They did not expect an infinite listener who joyously took their unlikeness on himself, giving them their own voice through the silence of wonder, a healing and holy metaphor that leaves everything still to be said.